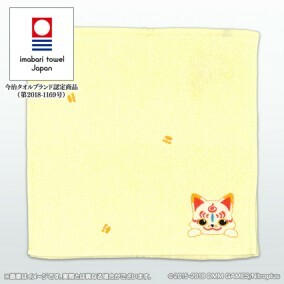 A handkerchief-sized towel embroidered with Touken Ranbu's PR squadron leader Okkii Konnosuke! Features terrycloth material made in Imabari, a region famous for its superior towel fabrics. Does not include Comic Market 94 purchase bonus "Okkii Konnosuke Mini Wet Wipes, Non-alcohol Type." Images are for illustrative purposes only. Actual product may slightly vary.